Hot on the heels of the start of the new Championship season just 7 days ago, the highly-anticipated 2018/19 Premier League campaign gets under way this week. Sky’s Super 6 is celebrating the start of the new campaign in style with a huge £1million jackpot! 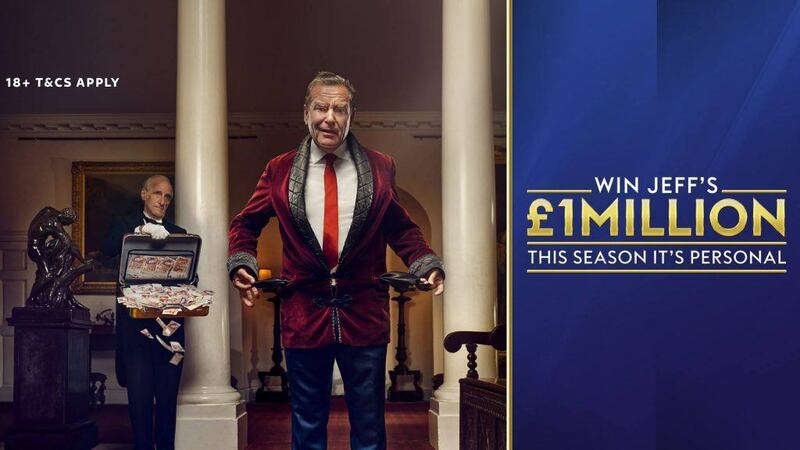 It’s completely free to play – all you have to do is correctly predict the score for six of this weekend’s Premier League and Championship matches, and you can nab a cool million pounds from Jeff Stelling. You can see this week’s six matches below, along with our tips and suggestions in the correct result market from each game. The predictions we’ve made come from our expert Premier League and Championship previews. Two Premier League sides expected to struggle this season go head-to-head at Dean Court on Saturday, in a contest that could potentially be an early relegation 6-pointer. The Cherries have done some interesting business this summer, bringing Spanish left back Diego Rico, promising midfielder David Brooks and hard-hitting Colombian anchorman Jefferson Lerma to the club, though the latter isn’t considered fit enough to play this week. Cardiff City have almost unanimously been tipped for the drop in 2018/19 and looking at their squad it’s easy to see why. The Bluebirds picked up just 9 points from a possible 57 on the road last time they were in the Premier League and they are expected to run into plenty of brick walls on their travels again this year. With that in mind, Bournemouth look good for a 2-1 win on Saturday. Premier League football returns to Craven Cottage for the first time since 2014 on Saturday as newly promoted Fulham take on Roy Hodgson’s Crystal Palace. Fulham were extremely active in the summer transfer market, signing a whole host of players across multiple positions , the most notable of which was highly coveted midfielder Jean Michael Seri. With a high turnover of players comes uncertainty however and Fulham’s pre-season form suggests that they will take time to gel. In contrast, Crystal Palace enjoyed some fine pre-season results, winning their last five friendlies on the spin, while only slightly tuning their squad in the background. The Eagles have managed to keep hold of Wilfried Zaha too, despite serious interest in their flying winger from bigger clubs. Continuity is a valuable thing at a football club and with Fulham likely to need some time to get going, we think Palace are a good bet to win this weekend. We’re going for a 2-1 win for the visitors. A new season with a new manager – 2018/19 is already feeling eerily familiar for Hornets fans. Having replaced Marco Silva and led Watford to a comfortable mid-table finish in 2017/18, Javi Garcia will be relishing entering his first full season in charge at Vicarage Road. Watford’s summer business looks a little underwhelming however, with little improvements of note made to their squad. Pre-season was a mixed bag too for Javi Garcia, meaning confidence among their players is likely to be on the low side ahead of their first competitive game. Brighton’s friendly results and performances were equally ordinary, though Chris Hughton has at least been busy finding new recruits to try to strengthen the Seagulls squad. Iranian winger Alireza Jahanbakhsh looks the pick of the bunch, though last season’s Eredivisie top scorer will have to buck the trend of flop imports from the Netherlands this year. Saturday’s game has a draw written all over it and we expect a tepid game in London. We’re predicting the contest to finish 1-1. Huddersfield were widely expected to go straight back down to the Championship last season, but the Terriers showed plenty of bite to defy the naysayers and secure their Premier League status for another year. Town have taken a gamble on quite a few unknown quantities this summer, though the pay off could be huge if any of those low-key deals are a success. Impressive pre-season victories over Lyon, Bologna and RB Leipzig will have Huddersfield bouncing in to their first Premier League fixture of the campaign this weekend. Chelsea will start their latest “new-era” feeling on Saturday as they begin to adapt to life under new boss Maurizio Sarri. The Blues looked jaded in their Community Shield defeat to Manchester City last week and Chelsea still look short on class in central attacking areas. Sarri’s troops travel to face a Huddersfield Town side that avoided defeat in 11 of their 19 Premier League home fixtures last season and though the Blues are the bookies favourites to win, we think the Terriers are capable of taking a point. We’re tipping a 1-1 draw. After a summer of highs and lows, Aston Villa put their off the field controversies to one side last weekend, beating Hull City in their first Championship fixture of the new season. The 3-1 scoreline might have flattered Steve Bruce’s men a little, though the result was still a fantastic way to start their domestic campaign. Villa managed to keep hold of Jack Grealish on deadline day, and they bolstered their creative options further with the signing of Hibernian’s John McGinn. Both players are expected to be involved this weekend. League One champions Wigan started their Championship adventure with a fine 3-2 win over Sheffield Wednesday last week, showing resolve and composure to eventually come through a topsy-turvy match on the winning side. They face a much tougher test this weekend however, against an Aston Villa side who have lost just 3 of their last 25 league matches at home. The Latics will be no pushovers, and though we expect them to make it a contest, we are still forecasting a narrow 2-1 defeat for the visitors and 3 more points for Villa. Despite having 70% possession of the ball last week, Norwich City could only toil to a 2-2 draw against Birmingham City in the opening game of their Championship season. After a disappointing 2017/18 campaign, Canaries manager Daniel Farke is under pressure to oversee a major improvement this term. Norwich’s progression this season could be seriously hampered by the loss of star trio James Maddison, Josh Murphy and Angus Gunn over the summer, though there are early signs that City will be able to cope without them. West Brom were undone 2-1 at home by Bolton last week, in one of the shock results of the opening round of Championship fixtures. The Baggies followed that result up by snatching a late 1-1 draw against Nottingham Forest – if they were under any illusions about how tough the Championship was going to be this season, the WBA players got a rude awakening inside two games. Still, WBA will find more solid footing with each passing game, and they should be able to avoid defeat at Carrow Road this week. We’re predicting a 2-2 draw. Categories: Football. Tags: championship, Championship tips, English Championship, sky super 6, super 6, and super 6 predictions. League: England Championship and England Premier League. Sports: Football.